Since the 2016 season ended, Vols’ head football coach Butch Jones has had to almost completely restructure his entire coaching staff. Only three of his assistants that were on staff last season will return for the start of the 2017 season in the same position they coached last year. Tennessee has hired five new assistant coaches and promoted two coaches who were already at Tennessee last season. Only Tommy Thigpen (linebackers), Robert Gillespie (running backs), and Bob Shoop (defensive coordinator) are in the same positions they were last season. Otherwise, the Vols’ coaching staff is almost completely revamped heading into this upcoming season. 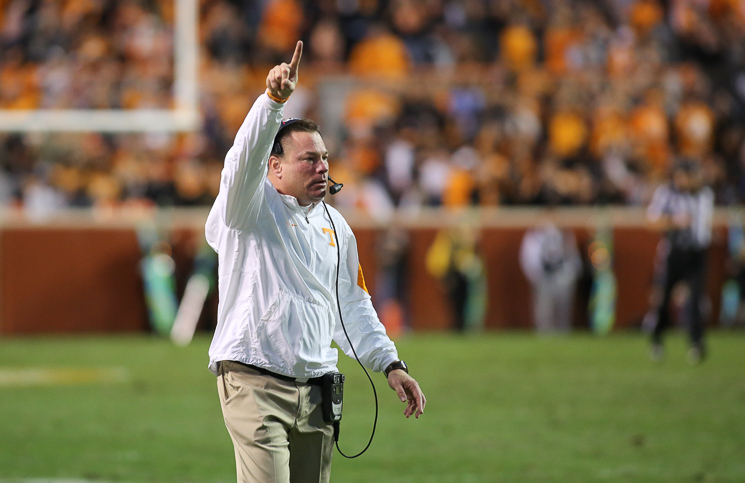 Here are our grades for each new addition to the Vols’ coaching staff this offseason.